This Indesit Built-In Double Oven finished in Stainless Steel brings a large capacity and a co-ordinated modern design to your kitchen. Boasting 65L of cooking space in the main cavity, perfect for making big family meals and the power of fan assistance, ensuring dishes are evenly heated throughout. 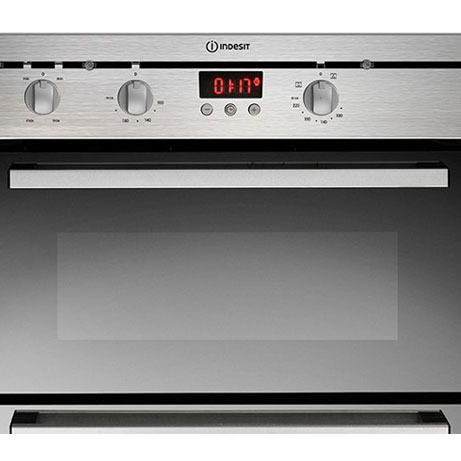 For a sleek and stylish built-in double oven, look no further than this Indesit finished in a modern stainless steel look to suit your kitchen decor. A digital interface with control dials makes operation truly simple. Double A energy rated cookers also ensure efficient performance and running costs. 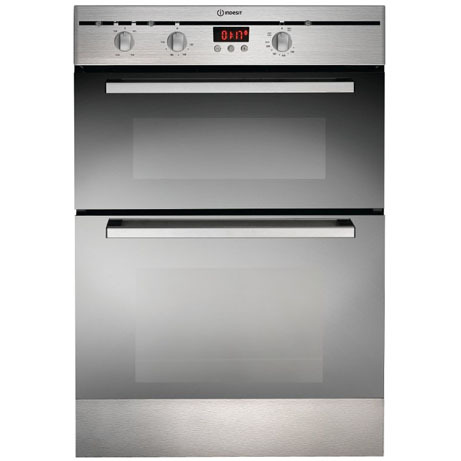 The main 65L fan oven offers a range of programmes to cater for a variety of cooking requirements. The main oven is a breeze to keep clean thanks to its self-cleaning catalytic oven liners. 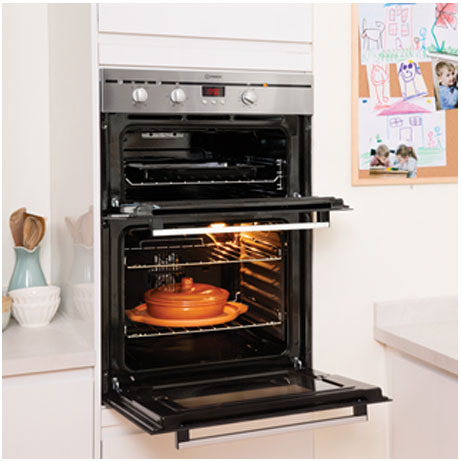 The top 35L oven houses a conventional oven along with a twin variable grill, which takes a short time to get up to full temperature. This oven also features double glazed doors, flexible shelf positioning and a programmable timer for complete cooking flexibility.